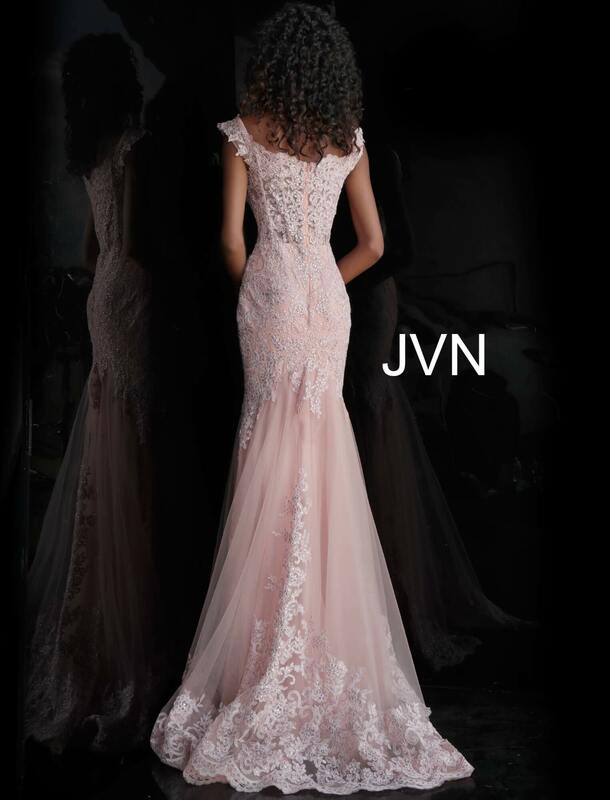 This beautiful Jovani jvn65688 is such a unique dress! The the straps a thick giving you that slimming affect. The torso of this dress is a mesh and it is embellished with beading. The bottom of this gown is tulle with a lace overlay on the trim. We love the high back and it is enclosed with a zipper. Wear this to prom or any formal event.